If you’re tight on space, you might consider a settee or loveseat instead of the traditional sofa. What’s the difference? A settee typically has two arms and an upright back with space to only sit two people. A loveseat can be similar in size and with arms; but it is more relaxed in regard to posture. Our wide selection of contemporary, casual and sophisticated settees and loveseats provide you with a variety of seating options for your living room, home office or bedroom. Browse or end tables or accent pillows to create a calming beach décor your family and guests will love. Simple Sophistication-Pacific Home Furniture’s Adele Settee Jute Back is a beautiful ..
Coastal Grey Linen SetteePacific Home Furniture’s Albine Settee is offered in multiple col.. 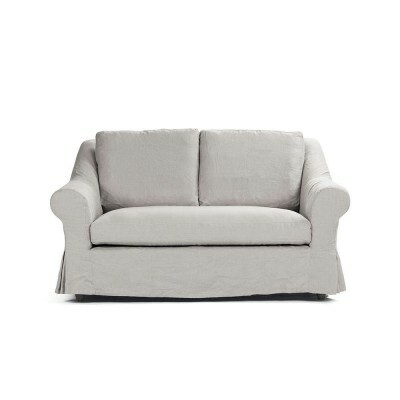 Chic Natural Linen SetteePacific Home Furniture’s Albine Settee is a beautiful coasta..
Louis Settee PacificHomeFurniture.com offers you a Louis Settee in..